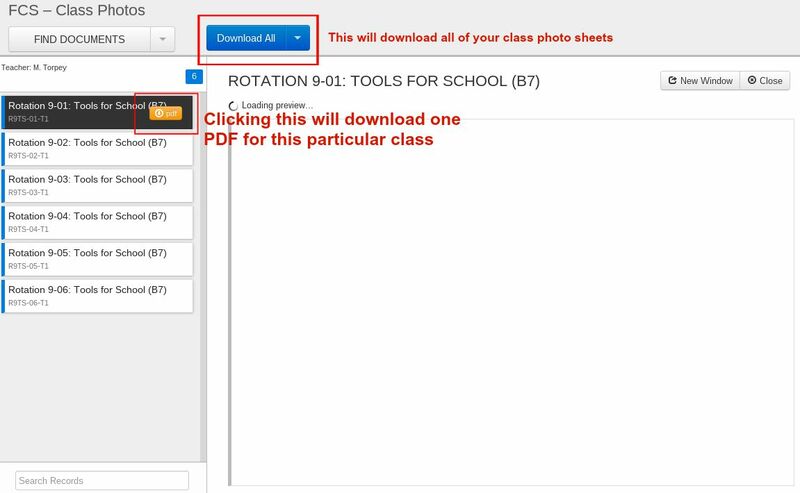 You can easily print a photo sheet of students in your class in a few easy steps! On your Veracross home page, navigate to the School Reports section on the bottom right hand side of the page. 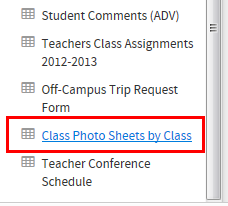 Towards the bottom of the reports, you’ll see a link named “Class Photo Sheets by Class”. 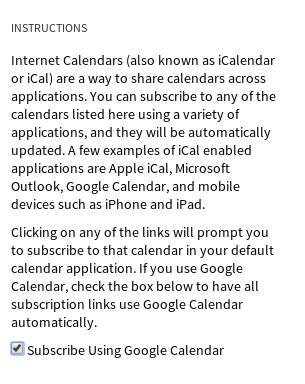 Clicking that link will bring up a page with a list of your class photo sheets. You can click on each class individually, or download all classes if you’d like to print them. You will want to DOWNLOAD the sheets as a PDF if you wish to print them; this will ensure all images of students are visible on one page.